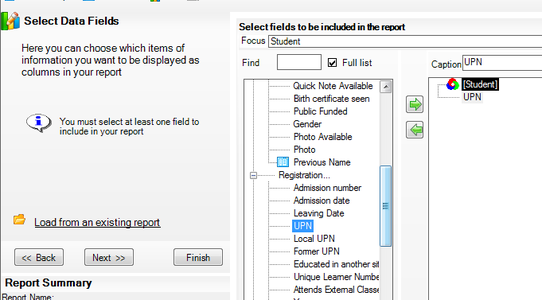 With the correct csv file we can add your pupil class lists directly into ReportComplete each year. The procedure is straightforward. 1. 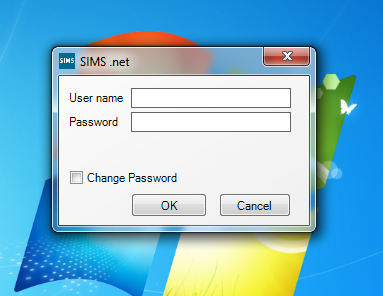 Click on your Sims.net Icon and enter your username and password. 2. 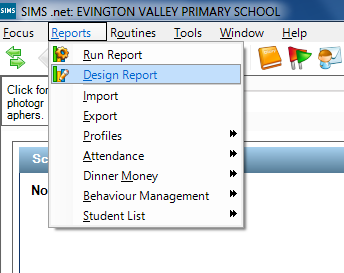 Now go to Reports in the top left and select 'Design Report' from the drop down menu. 3. 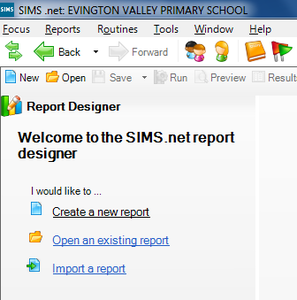 Click on 'Create a new Report'. 4. 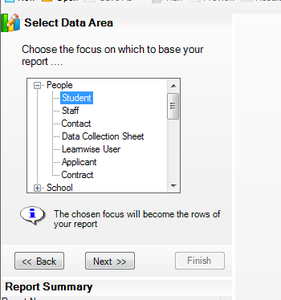 Select Student in the drop down tree then click on Next. 5. 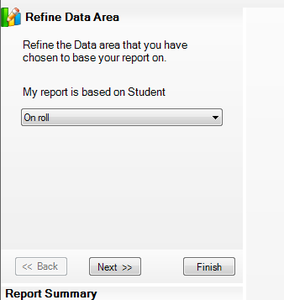 Choose 'On roll' in the My report is based on Student option then click Next below it. 6. 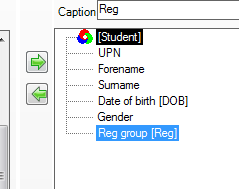 Now Double click on UPN so it appears across in the right box, then do the same for Forename, Surname, DOB, Gender and Reg Group. Optionally add short names by adding a KnownAs column. If you have mixed year classes you may also like to add Year group. 7. They should all now be in the right box in a column. 10. 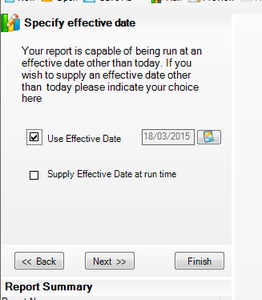 Tick the box for 'Use Effective Date' then Next. 11. 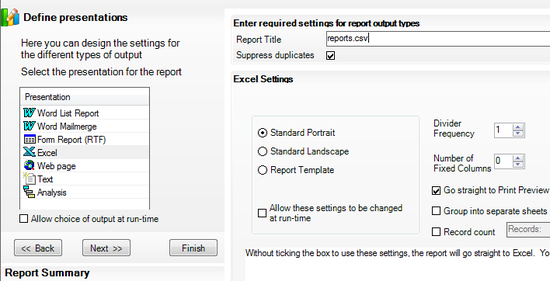 Choose Excel and give the file a name, (eg reports.csv) then click on Next. 12. 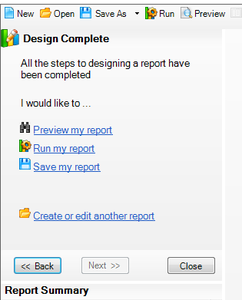 Click on 'Run my	Report' (second option of 'I would like to'). 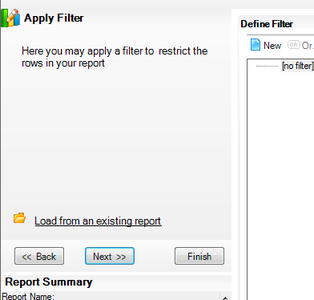 Excel should now open with the data required. Click 'Save' and save the file to your preferred location as a CSV (comma de-limited, MSDOS). 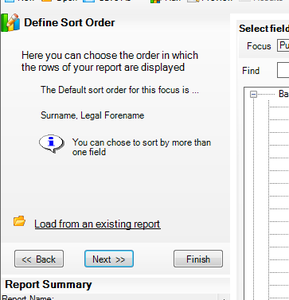 Now import the file using the student wizard or email the file over to us so we can check it and import it for you. 13. 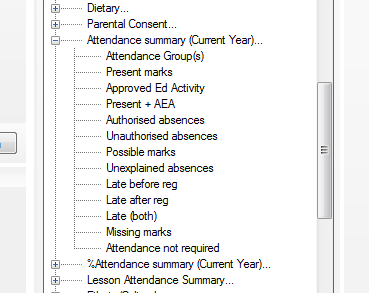 If you wish to create an attendance file later in the year to add pupil attendance figures directly into each pupils report, the process is the same but choose the following fields from under attendance summary: UPN, Present AEA (or attended if AEA not available), Late (optional), Unauthorised, Total Sessions. The 'Authorised' value will be calculated from the other values. Note: As long as you use the UPN then re-importing will be able to update existing data. This page was last modified on 15 April 2016, at 12:56.